All eyes are currently on the Halal meat and poultry industry. One key reason for this being due to DEFRA, the government officials in charge, announcing the EU Law on stunning is to change from the early next year. Saraj Murtaza, senior consultant for the Sharia Halal Board speaking to Farmers weekly today announced “No matter what the outcome of the new law in 2014 regarding stunning, Sharia Halal Board will remain 100% committed to ensuring the Muslim consumer receives ONLY 100% Halal product. Sharia Halal Board also welcomed the wake up of Islamic Scholars around the UK who have recently formed an formed alliance for the canvassing for clearer halal labelling. Sharia Halal Board has been canvassing for Halal monitoring for over two years. We currently certify and monitor a pre-stun poultry abattoir, but have no issues what so ever in certifying and monitoring non-stun abattoirs, subject to them meeting the conditions set out by us in line with Sharia (Islamic Law). Whilst Non stunning is a closer method to Sharia, however it does have an increased margin of error. This method has been prescribed by the religion and Sunnah (Actions and sayings of the Blessed Prophet PBUH), however it must be understood, this would have been for single units of meat or chicken. Not for 300,000 birds a week and 9,000 birds per hour, this is typical figure of single factory’s quantity. With figures like these, the more accurate option would be to pre stun. It ensures that the animal can be slaughtered with accuracy in the short time available. 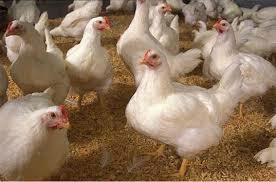 Unlike non-stun methods It also ensures almost zero damage to the individual chicken. It is also the method of choice for larger British based companies and restaurants. Saraj Murtaza further stated ” We have written to DEFRA regarding the new laws and asked for further clarification on the matter. As it is not abundantly clear if this policy will apply to those stunning and then carrying out religious slaughter or would they be exempt under the religious slaughter exclusion which is offered to non stun abattoirs. We have further highlighted our worries, that should the law come into effect. Concerns include the major loss of business to the Halal sector, as many big name brands have claimed they will no longer consider selling Halal product should the new stunning laws come into effect. Sharia Halal Board once again asks consumers to rise up against the Haraam being sold in our shops and fight this. We must ensure that every product of meat of poultry on our table has not only been certified but has also been monitored throughout its journey.